Location | Limassol Royal Residence - Living in Paradise on Earth! 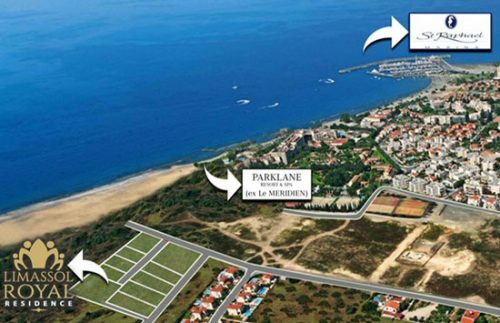 Located at the entrance of Limassol just two minutes walk from the beautiful sandy beach. The beach has been awarded with the - Blue Flag - for compliance with the European standards for clean waters and the coastal strip. Facilities like gym rooms, spa, tennis courts, watersports, etc., can be enjoyed at nearby luxurious hotels. Also beautiful marina is just a ten-minute walk from the Villas. Larnaca Airport is only 25 minutes away and capital city Nicosia is 35 minutes driving. The beautiful mountain area of Platres and Troodos are only 35 minutes away from the Villas. Limassol – "Hidden gem of Mediterranean"
Limassol is simply place to be, it is the second largest urban area in Cyprus and has a wonderful Mediterranean climate. The city experiences long, dry, warm summers and short mild winters. The temperature of the sea allows swimming almost all year around and surrounding area has many beautiful sandy beaches. With amazing infrastructure, Limassol is the island’s largest economic, trade and touristic center. Limassol offers outstanding quality of life. It has over a hundred educational institutions.Limassol’s lively nightlife that will not disappoint the party lovers, also offers a huge selection of different cuisines for food lovers from all over the world. Limassol is not lacking of good shopping choices, along with traditional shopping areas that you can experience walking through Limassol you can also find big modern shopping center. 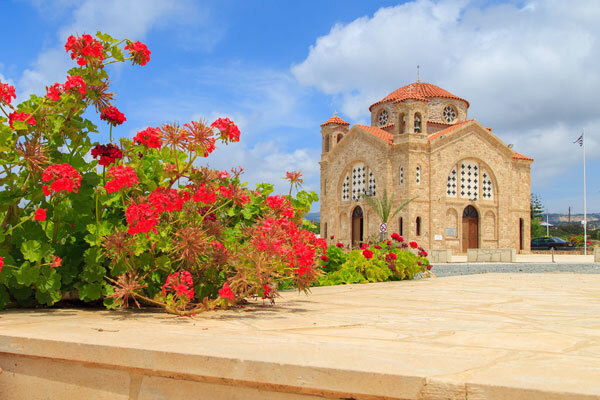 Cyprus – Your luxurious escape! The Republic of Cyprus, is an island country in the Eastern Mediterranean, at the crossroads of Europe, Asia and Africa and the third largest and it is third most populous island in the Mediterranean, with stunning 320 to 340 sunny days per year. Cyprus is offering very clear and fast scheme to obtain permanent Cypriot (EU) passport and citizenship to Non-EU citizens with property investment, valid for the whole family. With the lowest corporate tax in EU (12,5%), Cyprus really offers unique package. The vibrant history of the island resolve in offering the many archaeological and antiquities sites scattered around the island, dating from the New Stone Age through to the Roman Empire. Unique combination of crystal clear water, beautiful sandy beaches across the island and deep green forest area of beautiful mountain area of Platres and Troodos. 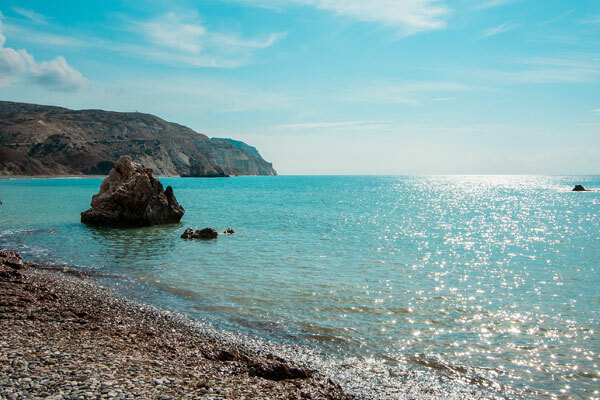 Skiing, hiking, horse-riding, golfing, wind surfing, scuba-diving, name it Cyprus has it all.